One of the best! Potato Red Duke of York has largish, oval, red-skinned tubers with a superb flavour and moist, pale yellow flesh. Especially good as early salad or boiling potatoes. This was found as a 'sport' of 'Duke or York' and is considered by many to be even better and more vigorous, becoming increasingly popular. 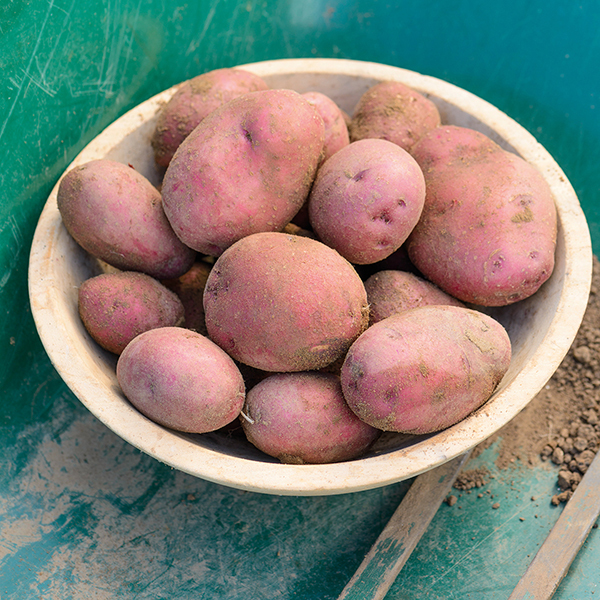 These must be one of the best reasons for growing your own ‘traditional new potatoes’. Plant chitted tubers from late March (earlier in warmer areas) and lift when plants come into flower or drop buds from June. Plant chitted tubers from late March (earlier in warmer areas) and lift when plants come into flower or drop buds from June.